Professor Kim Kyung-Ho (Ahn Sung-Ki) insists that a math question for the 1995 university entrance exam is wrong. Later, Kim Kyung-Ho is not retained by his university. Kim Kyung-Ho then starts a lawsuit against the university. 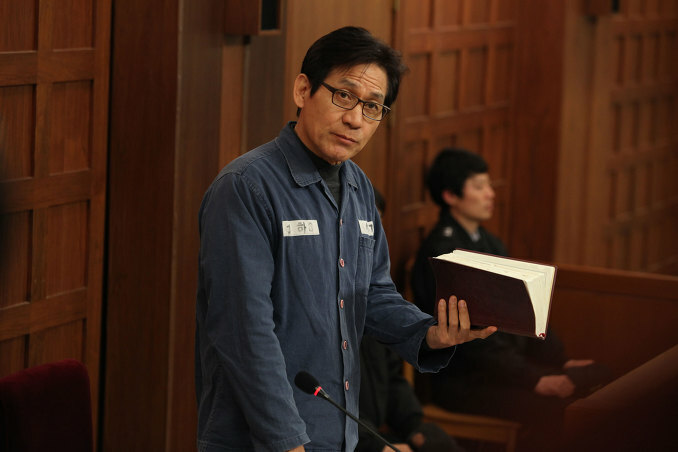 The residing judge over the case is Park Bong-Joo (Kim Eung-Soo). By January 12, 2007, the lawsuit is decided in favor of the university. 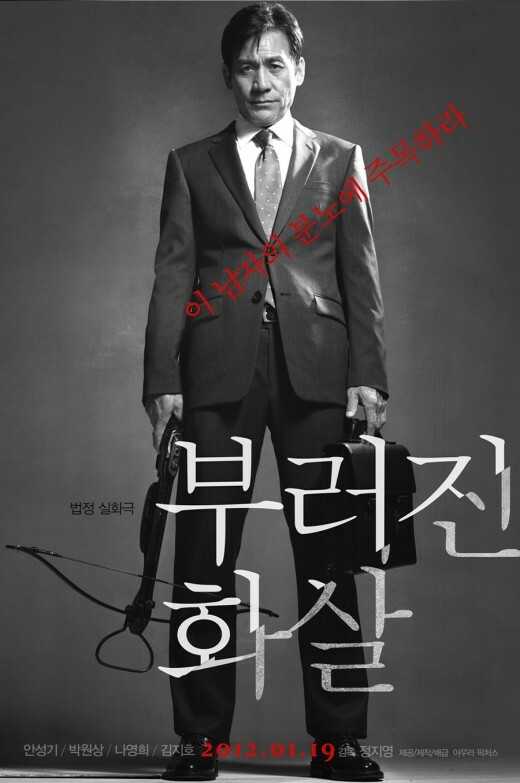 Three days later, Professor Kim Kyung-Ho waits outside of the judge's apartment with a crossbow. 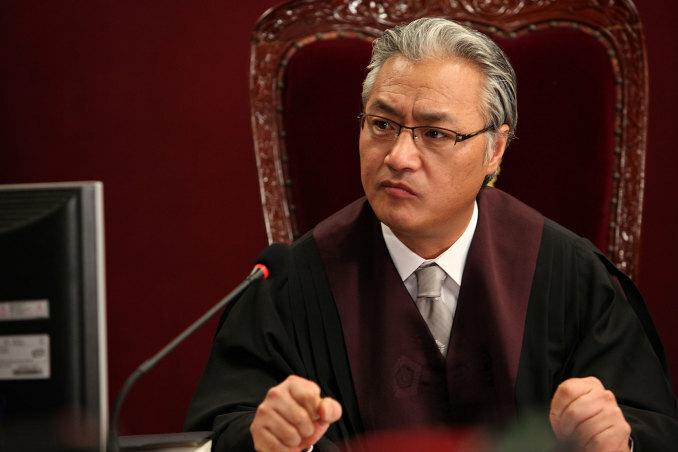 When the judge appears he sees Professor Kim Kyung-Ho walking towards him with a crossbow. The judge and the professor have a physical struggle. An apartment security guard arrives and separates them. The judge tells the security guard to call the police and keeps a shot arrow as evidence. The media are whipped into a frenzy over the incident. Professor Kim Kyung-Ho is arrested, but maintains that he did not shoot the judge. The judge insists he was shot by an arrow. 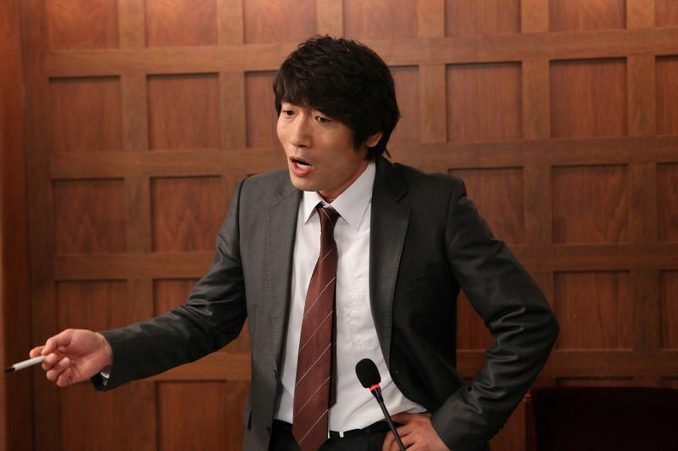 Park Joon (Park Won-Sang) is a lawyer who specializes in protecting the rights of laborers. He has an office in Changwon, but struggles financially to keep the office open. One day, a new client comes into his office to see him. The client is Professor Kim Kyung-Ho's wife (Na Young-Hee). The attorney is bewildered why the woman has chosen him to represent her husband. The woman tells Park Joon that Professor Kim Kyung-Ho has selected Park Joon himself. As they talk about the case, the wife realizes that Park Joon is drinking alcohol during their meeting. She immediately walks out of the office. Later, Park Joon goes to court in Seoul. By chance he spots Professor Kim Kyung-Ho's wife and hides behind a wall. He then notices a sign in front of the court room and realizes that Professor Kim Kyung-Ho's trial over the crossbow incident is occurring there. Park Joon decides to go into the courtroom. While taking a seat, Park Joon notices reporter Jang Eun-Seo (Kim Ji-Ho) sitting nearby. They have known each other for a long time. Meanwhile, Professor Kim Kyung-Ho abruptly stops the court proceedings and declares that he is firing his attorney. Outside of the court building, Park Joon and reporter Jang Eun-Seo decide to go for drinks. While they leave together, Profesor Kim Kyung-Ho's wife calls over reporter Jang Eun-Seo. Jang Eun-Seo then introduces Park Joon to Professor Kim Kyung-Ho's wife. Profesor Kim Kyung-Ho's wife says briskly that they have already met. That night, Park Joon and reporter Jang Eun-Seo have a lot of drinks together. Jang Eun-Seo keeps suggesting to Park Joon that he should represent Professor Kim Kyung-Ho. The next day, Park Joon goes to prison to meet Professor Kim Kyung-Ho. They soon realize how different they are. Professor Kim Kyung-Ho is rigid and strictly follows rules. The law is no exception. Park Joon has reservations about taking on the case and goes back to his office. When his assistant Lee (Kim Tae-Han) threatens to resign if he doesn't take the case, Park Joon finally decides to represent Professor Kim Kyung-Ho. Based on a true story. The professor's real name is Kim Myung-Ho and the judge that accused Kim Myung-Ho of shooting him with a crossbow is Park Hong-Woo. The incident occurred January 15th, 2007. Filming took place from March 13, 2011 - May 17, 2011. "Unbowed" opened #2 at the South Korean box during its opening weekend (Jan.20-22), selling 384,483 tickets on 399 screens. The movie then climbed to #1 on its second weekend of release (Jan.27-29), selling 717,580 tickets on 528 screens. Unbowed will be released in Los Angeles, California at CGV Cinemas  on February 17, 2012. Movie distributor CJ Entertainment is currently negotiating to extend its release in other cities in USA and Canada. michael lee Sep 04 2014 12:32 am Public needs stand up to the judicial corruption.